I hope I’m using the term “wongable” correctly. It means there’s a point in gambling, usually referring to blackjack card counting, where it is a good idea to play a game with a higher EV according to certain rules or progressions in the game. With slot machines, no matter what someone tells you, slot machines “hit-ability” cannot not be determined due to the Random Number Generator. But, in blackjack, deep penetration of the shoe causes the EV to rise in favor of the player, especially card counters. With slots, we play without the sure knowledge of its pay out percentage. It would be great if we could, especially with progressive slots. A progressive jackpot game is one in which the size of the top jackpot grows with every spin of the reels. 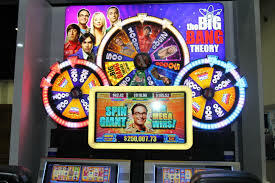 Before choosing a progressive slot machine, players need to be aware of the fact that playing such a machine is not the same as playing other slots. A certain portion of every bet is accumulated to form the progressive jackpot. In standalone progressives, the jackpot point is reset at a certain amount once the jackpot is hit. Standalone progressives – A standalone progressive jackpot only grows when you play that individual machine. Local area progressives – A local area progressive is networked with a group of other slot machines within the same casino. Play on any of those machines causes the jackpot for all those games to grow. If the jackpot is hit on any of those machines, the jackpot on all the machines resets to its starting point. Wide area progressives – Wide area progressives are the games that are networked across multiple casinos. These are the games where the jackpots get high enough to compete with lottery games. The biggest example of a wide area progressive is Megabucks. The jackpot for this game starts at $10 million and grows until it’s hit. The jackpot has grown to over $30 million on at least 2 different occasions. 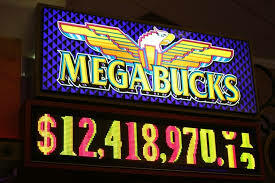 A standalone progressive slot machine has a jackpot ticker on the game, but only bets placed on that specific machine feed the jackpot. This was, at one time, the only kind of progressive slot machine game available, but most progressives feature multiple machines that are linked together. Still, so many standalone machines were manufactured that these games are still easily found in casinos throughout the world. 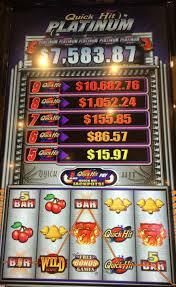 The very popular “Quick Hit” Slot Machines can be standalone or hitched together in a group as a local progressive. These days, standalone progressives can be found produced by all of the major slot machine makers. With any progressive slot, it’s important to understand that a percentage of all the money played into the machine is considered in the payoff. This means that the actual payback percentage will be less on the other winning symbols and in some case the payback percentage on the Progressive machines will be less than other machines in the casino. The higher the progressive amount (as in wide area progressives), the lower the payout percentage. For this reason, while standalone slots won’t usually pay that “life-changing” jackpot, they can also keep you in the game longer than larger progressive slots. As already explained above, a certain portion of every bet is accumulated to form the progressive jackpot. So many people, when playing progressive slots, don’t want to be aware of that machine. There are many differences in progressives. For example, some (most Wide area progressives) machines need to have the maximum bet played to qualify for winning the progressive jackpot. In standalone progressives, the jackpots are possible at any wager, but there are exceptions. You must read the machine’s info to know if you are wasting your money. It’s like playing video poker on 4 coins instead of 5. By doing so, you take away the chance of the inflated Royal Flush payout and diminish the % by 2%. A player is permitted to make any other bet than the maximum one, but on slots that only payout the progressive with MAX BET, this will bring them only a small part of the progressive jackpot. These machines reset at certain amount every time it’s hit. It then begins to slowly build to a set point, chosen by a second RNG (thanks to John Grochowski for that info). It may go all the way to the “must hit by” point or hit anywhere in between. On these machines, max bet is not needed, but a larger bet will make the amount grow quicker. But how much quicker? Here’s my suggestion – If it’s close, to the “must hit by” amount, jump on it. But when I say close, I mean VERY close. Here’s an illustration of how slowly the jackpot on these machines grow. One summer, my wife and I stayed and played at Cosmopolitan in Las Vegas. There was an Ainsworth “Rumble, Rumble” standalone progressive penny machine – lowest bet was 50 cents, highest $2.50. It had to hit by $500 and when I sat down, it was at $491! So I played, and I played – for two days it seemed I was the only one playing. It reached $495, $497, still didn’t hit. We figured out that every $5 in caused to Jackpot to move 1 PENNY!!!! That’s right, ONE CENT!!!! It hit after $498. I had lots of good play at $1 & $2 a pull – I still lost money, but not much for two days of play. Moral of the story – don’t expect it to hit, and if you are in it for the jackpot, make sure you have a large bankroll and you are already close to the Jackpot. These Jackpots don’t grow quickly, but can hit on any wager. As you walk around the casinos, see if you can spy these standalone progressive slots and compare the jackpots. It not only is smart when playing these type of progressive machines, but it may dictate how smart of a wager you will bet. ARISTOCRAT TECHNOLOGIES has been making world-wide favorite slot machines for many years. Their latest winner, “Fast Cash” is now sweeping New England’s casinos as the new preferred slot. I remember seeing Aristocrat machines for the first time in Las Vegas years ago, imported from Australia. But Aristocrat had its beginnings much earlier than the 90’s. The company that most casinos have embraced today started in 1953. For a great history and timeline from Aristocrat Technologies, click here. Fast Cash is a game-changing product because it operates in an under-served area of the market—small, rapid-hitting jackpots with meaningful wins. Fast Cash is focused on delivering meaningful customer jackpots that hit much more frequently. With Fast Cash, the grand jackpot is vendor-funded, eliminating casino liability, creating a perfect situation where both players and casinos will love the opportunity to participate in rapidly hitting links at a lower price. The magic is in the additional 6th reel which allows for the jackpot possibilities. Everything in Fast Cash’s design is about jackpots, catering directly to jackpot-chasing customers. Fast Cash delivers fast excitement with the opportunity to win multiple simultaneous jackpots with a rapid hit six-level linked progressive multigame featuring four of Aristocrat’s top performing games: Buffalo Deluxe, Miss Kitty, Timber Wolf Deluxe and Wicked Winnings II. The best feature of Fast Cash is that the jackpots can be won at any bet level. The company was founded by Len Ainsworth, whose family maintains a lucrative stake in the company, but is now Chairman of a different gaming company, Ainsworth Game Technology, another Aussie up-and-comer in the American casino industry. 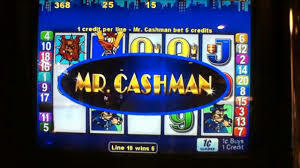 The most well known Aristocrat games include Queen of the Nile, the Cashman series, Buffalo series and its linked jackpot themes, such as the Cash Express which place large progressive jackpots over a number of machines. Check out Fast Cash where any bet can win a jackpot. Have you wondered why it seems harder to win at your favorite casino? We all know that table games are in a state of flux, with lower payouts and more side bets – all increasing the house edge. We’ve seen blackjack payouts diminished quickly within the last two years with the advent of 6:5 payouts instead of the traditional 3:2. We’ve seen lower times odds in craps. More “carnival” table games continue to be added to the casino floor like 3 & 4-card poker, Let it Ride, and BlackJack Switch – all table games with high infrequent payouts, volatile side bets, and a much higher increase to the casino’s edge as compared to traditional games like baccarat & blackjack. STOP THE PRESSES! NOW THAT’S NEWS!!! Listen, casino management still doesn’t get it. The fact is that people will show up if they feel they have a chance, some hope, of playing a while – or even winning. I understand that the most entertaining slots may be the ones that also don’t pay well. If you are willing to play them with that understanding, then, go for it. But if you want a better chance to win and a better chance to play longer on video slots, here’s three tips to helping you. DISCLAIMER: The following information is not going to tell you how to win at slots. Nobody can tell you that. If someone tells you they are a professional slots player, or that they have a sure way to win at slot machines, RUN – RUN FAR. The Random Number Generator (RNG) is made to pay a certain percentage for the casino’s win over the long term. No one knows what machine pays what percentage, except the company that sold it and the casino who bought or leased it. So, the following are just suggestions to consider, THAT’S ALL. Suggestion #1 – Be wary of the “Celebrity” or “Themed” slot machines. These games are referred to as “participation games.” When a casino installs a participation game, they do not buy the machine. The machine remains the property of the manufacturer, and the casino and manufacturer share in the revenue that the game produces. However, a fee to license that brand – for example, Ellen DeGeneres, Michael Jackson, Big Bang theory, Batman – which is all figured into the revenue share. So, because of licensing fees, leasing fees, and revenue share, expect the payout percentage to be lower than a traditional slot. Just enjoy it for the entertainment it is, and if you win, so much the better. Suggestion #2 – Know your progressive. Many slot machines include progressive wins – but not all progressives are alike. Be knowledgeable of the differences. “Pay for Play” Progressive – these progressives usually are only eligible for the taking when playing Max Bet. Quick Hit Slot Machine with progressives listed. A good example is Quick Hit machines. If you don’t play max on these machines you are not eligible for the progressives, which can get hefty, thus diminishing your total payout percentage – whatever that may be. The progressive is figured into the total payout percentage. Play without Max Bet, and you’re throwing away more money to the house. Always check what denomination and how much Max Bet is before playing. “Quick Hit machines can range on a penny machine from $1.50 to to $4.00. “Pay Within” Progressive – these payout on any bet, anytime withing a certain amount accrued. For example, Konami slots often have 2-4 different progressives, that will pay between $25 – $50 (a mini progressive) at any given time. Keep in mind that the increase of the progressive is incredibly small. 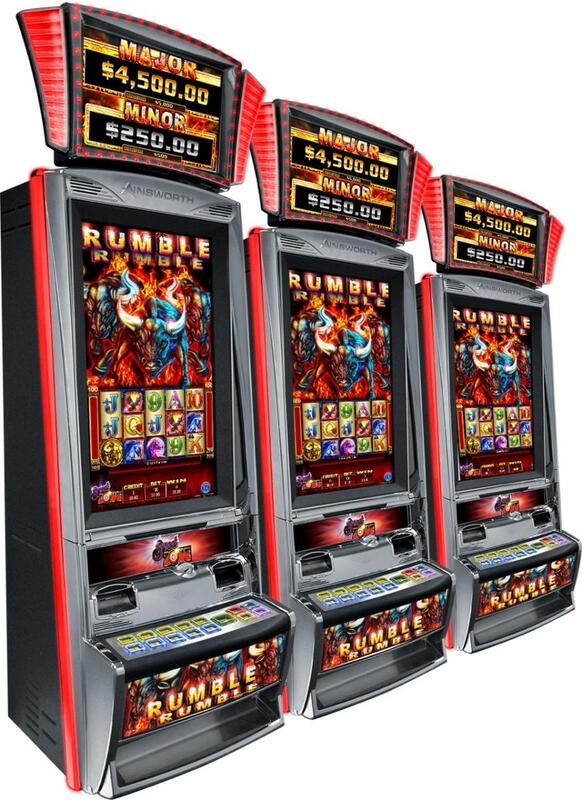 One Las Vegas trip I played a fun slot called Rumble, Rumble “SweetZone” by Ainsworth at Cosmopolitan. At $1 a play, my wife and I figured out $5 in made the progressive meter increase one cent – $5 increased ONE CENT! So, be careful – seeing a progressive like this close to its payout could still mean a lot of playing (and money) ahead. “Mega-Progressive” – these are those that are connected to a few others, or even regionally like MEGABUCKS. Keep in mind that to payoff such a large progressive, the payout percentage that you hear sucking the money out of your bankroll will be low. It has to be to be able to payoff the winner of such a high payoff. These usually require a high Max Bet. Suggestion #3 – The less Bells and whistles, the higher the payout. Again, not necessarily, you don’t really know, you can’t tell, yaddy yadda yadda. But if the casino doesn’t have to pay other interests such as progressives, themes, lease agreements, additional set up, special lighting, etc, it might encourage your bankroll to last longer. Now, go out there and hit a jackpot.